The drumset course from my book: “All -In – One – “Learn to Play the Drumset” – will include a limited enrollment course for beginners. This course offers a diploma signed by myself on completion of the book. I have a list of students waiting now. to get on the list contact me from the “Contact” link on this website. Now accepting a limited number of (serious) students for private study at the Chicago Studio. All lessons are bi-weekly. 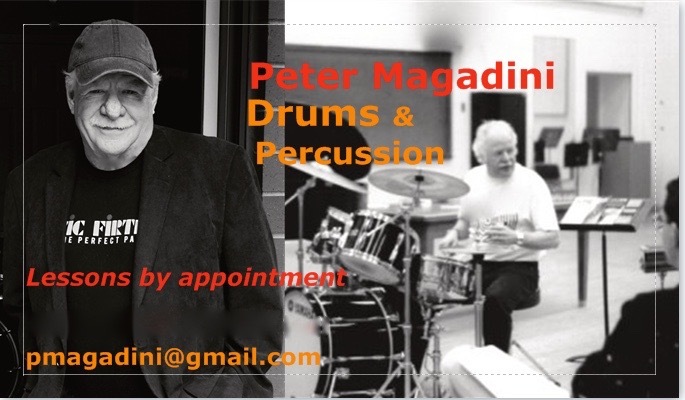 Please include a short resume about your drumming self with your inquiry. pmagagdini@gmail.com / or contact me from the “contact” link of this website.